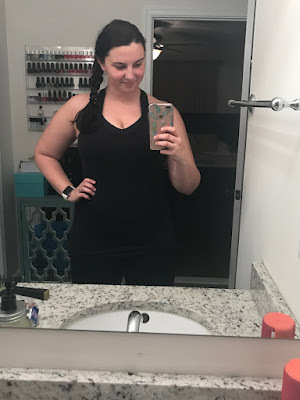 I have been trying to find the words to write about my experience with the BodyBack program for the last two weeks but it's hard to sum up something that has changed you, inside and out, in a single blog post. I wish I had taken my shirt off this round to really see the changes. Moving twice in less than two years, to two different states can really affect someone. Throw in birthing a child for the first time then buying your first home two months later and you realize very quickly how easily it is to lose yourself. Finding the time to juggle being a full time mom, wife, employee, daughter, sister, friend, etc was extremely difficult for me, especially during the first six months of Molly's life. 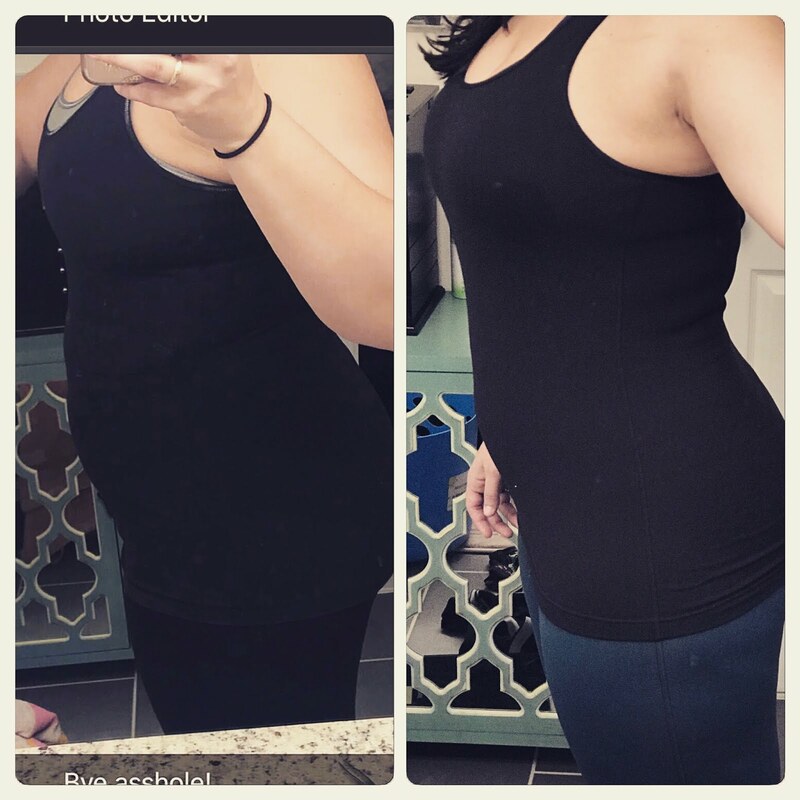 I never lost the baby weight, in fact, I was one of the lucky ones that gained even more weight during postpartum. I was working out but not giving my body the proper nutrition it needed, and having been on a similar journey before I knew what I needed to do but wasn't doing it. Nothing was "clicking" for me like it had in the past. Until I started my second BodyBack session. I was fortunate enough to work with the same coach and have many of the same friends with me that I had been with during my first go around, but this time was different, this time I was ready. I got out of my own way and allowed the help from my coaches, friends and the program itself to do its work. I lost over 13lbs in this last session (based on my home scale we've had for years) and 5 inches, but I gained myself back in ways I didn't think were possible. I had the drive to workout hard and consistently again, to fuel my body with clean foods and most importantly, open up. Left: January, before session 2 Right: March, end of session 2. I've always been one to shut down my emotions but the group of women I spent the last 8 weeks with found a way to make me feel safe enough to allow my vulnerable side show and really share my ups & downs with them. We laughed, cried, and sweat twice a week together and while we lost so much in weight and inches, we gained a lot more in knowledge and friendships. I have 10 lbs left before being at pre-Molly weight and 25lbs to be back where I was before leaving Long Island. BodyBack has reminded me that I am worth the work and more importantly, that I CAN and WILL do this. With that being said, I start my third round of BodyBack on March 21st and I couldn't be more excited to see where I am in 8 weeks! Go YOU!!! You can be so proud of yourself!!! Keep up the wonderful, wonderful work. So glad you found a class/group of people you enjoy and can connect with.